Three Google bosses in Italy have been found guilty of privacy violations, after a video of a boy with Down's Syndrome being bullied was posted online. The video which appeared on Google Video in Italy, but not uploaded or filmed by anyone at Google, was found to break privacy laws in the country. This was even though Google took it down within hours of knowing of its existence. Google has unsurprisingly posted a riposte about the incident on its blog, which it says sets a "dangerous precedent" for things to come. "We are deeply troubled by this conviction... It attacks the very principles of freedom on which the internet is built," says Matt Sucherman, VP and Deputy General Counsel - Europe, Middle East and Africa of Google. "Common sense dictates that only the person who films and uploads a video to a hosting platform could take the steps necessary to protect the privacy and obtain the consent of the people they are filming. "European Union law was drafted specifically to give hosting providers a safe harbour from liability so long as they remove illegal content once they are notified of its existence." The blog continues: "The belief, rightly in our opinion, was that a notice and take down regime of this kind would help creativity flourish and support free speech while protecting personal privacy. "If that principle is swept aside and sites like Blogger, YouTube and indeed every social network and any community bulletin board, are held responsible for vetting every single piece of content that is uploaded to them – every piece of text, every photo, every file, every video – then the web as we know it will cease to exist, and many of the economic, social, political and technological benefits it brings could disappear." 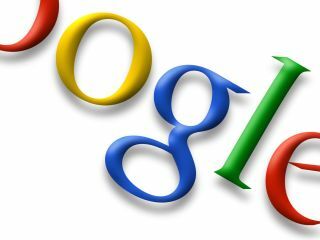 Google has a point – there is a lot of non-vetted information out there that's been uploaded using technology the company has created. It would be impossible for the company to 'okay' every piece of material. Google has announced it will appeal this decision 'vigorously' – something everyone who works on or uses the internet should keep an eye on with great interest.